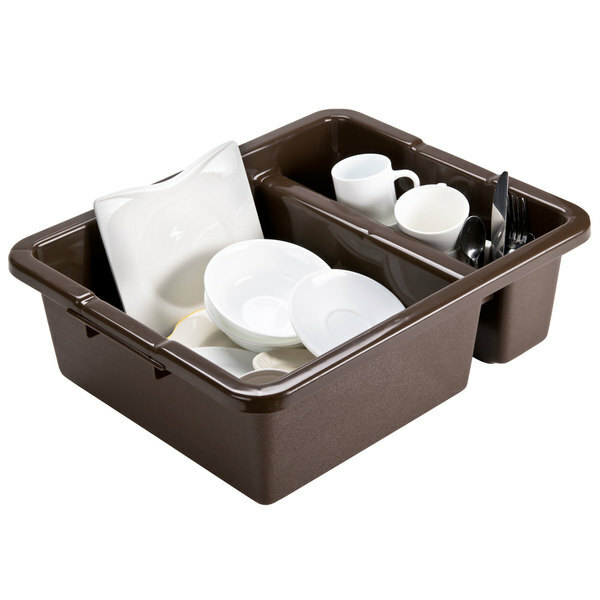 Make bussing your tables a breeze with the help of this brown bus box. 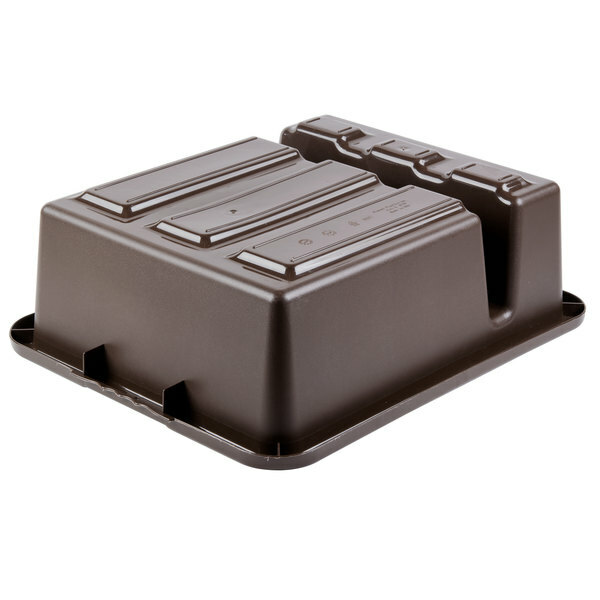 Perfect for your cafe, coffee shop, or restaurant, this brown bus box helps your business operate as efficiently as possible. 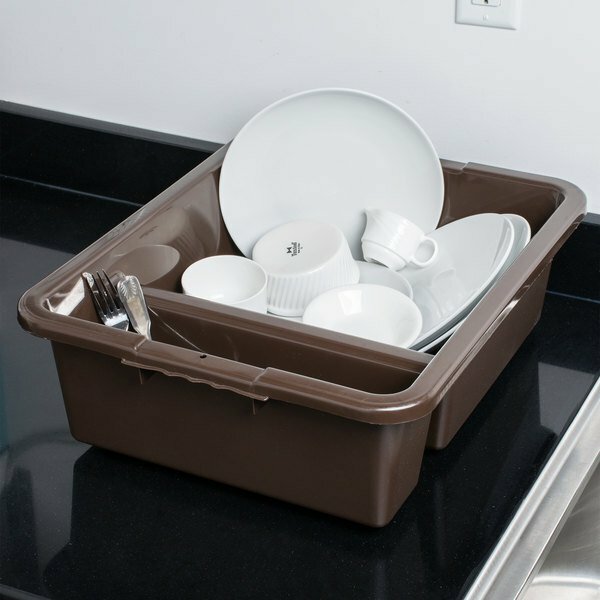 Use it to tote used dishes from the dining area to the back-of-house for washing, and help streamline the warewashing process by sorting the dinnerware and flatware between the box's two divided sections. 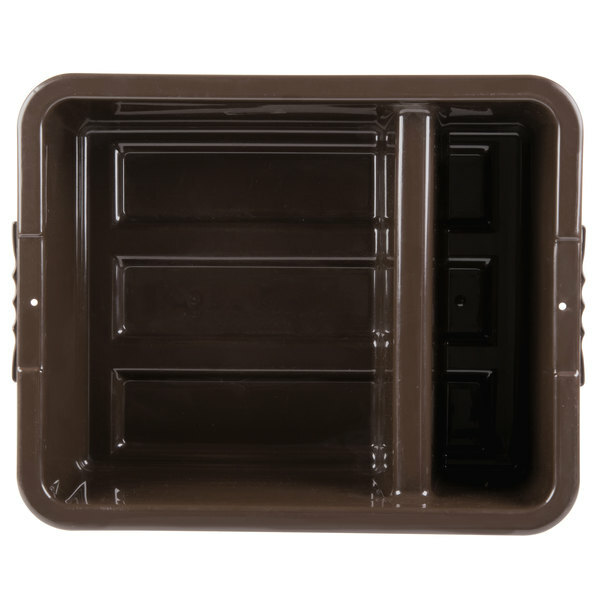 "These bus bins are crazy durable. The seperation in the design makes for happy dishwashers... The silerware comes to the dish room already seperated from the dinner ware. Works great!" 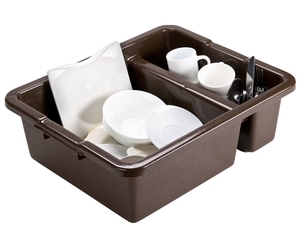 Featuring two divided sections, this bus box makes it easy to organize dishes. 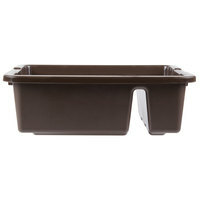 The thinner section is perfect for placing flatware, while the larger compartment is great for stacking used dinnerware. 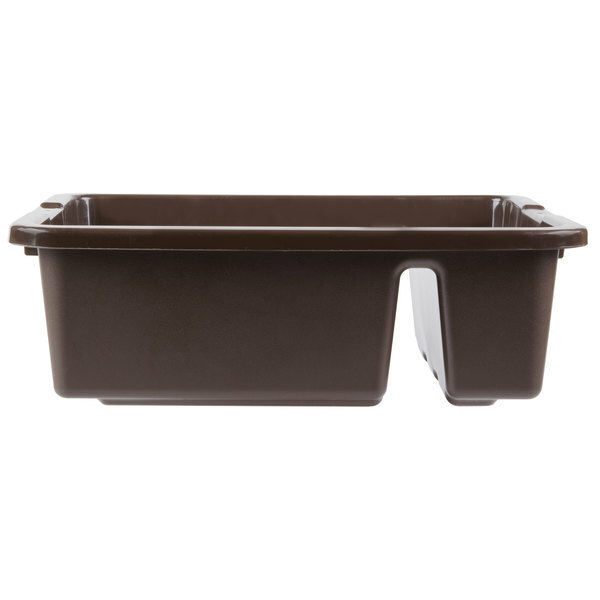 This bus box is made with polyethylene to deliver quality durability. Its classic design also makes it easy to handle. 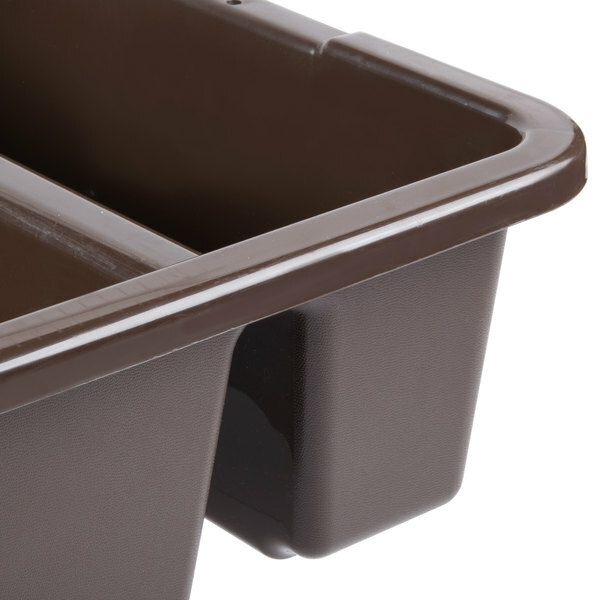 Featuring rounded corners, the box is easy to clean after use. Plus, its plastic material ensures that it withstands frequent washing. 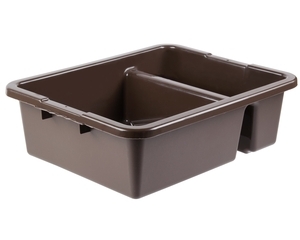 This is an excellent well made bus tub. Tablecraft puts out quality products on a whole. 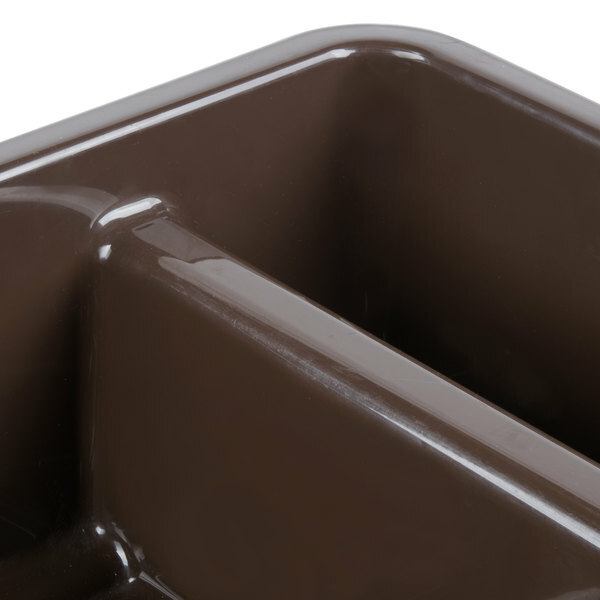 The separation allows you to soak knifes and keep your dishwasher safe. 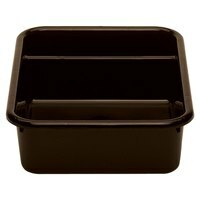 I would order this bus tub again. 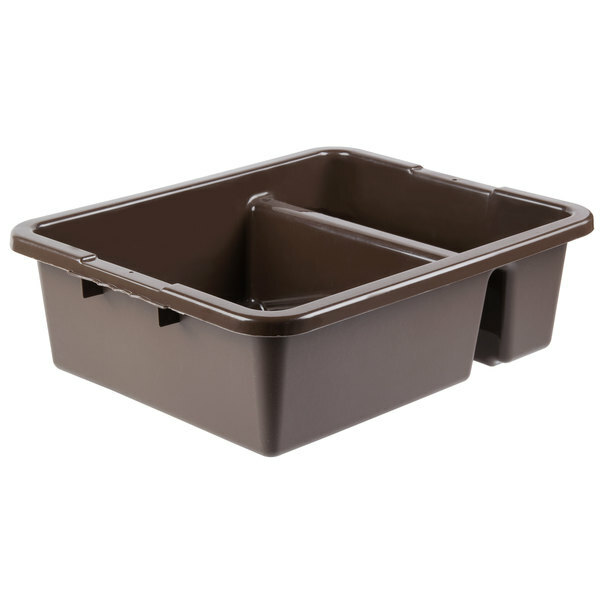 These bus bins are crazy durable. The seperation in the design makes for happy dishwashers... The silerware comes to the dish room already seperated from the dinner ware. Works great!